Connecting vehicles to infrastructure, other vehicles, networks and even pedestrians is one of the most intriguing developments in the wireless industry today. The prospect of autonomous vehicles has captured the attention of not only the wireless industry, but also car makers, ride-sharing companies, municipalities and the general public. Connected vehicles have applications beyond self-driving vehicles to include road safety, traffic efficiency and reduction of environmental impacts. V2X communications consists of four main types of communications: vehicle-to-vehicle (V2V), vehicle-to-infrastructure (V2I), vehicle-to-network, (V2N) and vehicle-to-pedestrian (V2P). Vehicle-to-Everything (V2X) communications and solutions enable the exchange of information between vehicles and much more — people (V2P), such as bicyclists and pedestrians for alerts, vehicles (V2V) for collision avoidance, infrastructure (V2I) such as roadside devices for timing and prioritization, and the network (V2N) for real time traffic routing and other cloud travel services. The goal of V2X is to improve road safety, increase the efficient flow of traffic, reduce environmental impacts and provide additional traveler information services. To accommodate connected vehicle applications, radio architectures need to significantly evolve and utilize macro to small cell base stations that operate in frequency bands from a few hundred megahertz to tens of gigahertz. 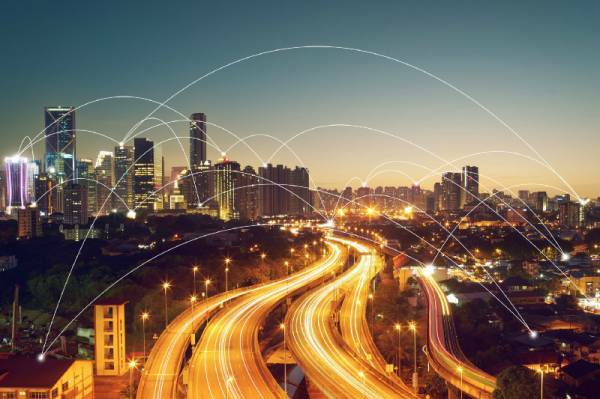 5G technology connecting a multitude of devices and allowing real-time communications between people and vehicles will improve due to bandwidth, linearity, power efficiency, and small form factor solutions. Autonomous vehicles represent the most dramatic change in transportation since the Interstate Highway System. Investments made by the private sector shows that there is a clear business case for the systems, devices and platforms to enable a connected vehicle to everything infrastructure. But there are technical, policy and financial implications for the public sector to enable roadside units to communicate with connected and automated vehicles. Stakeholders also must consider communication attributes, operational issues and deployment challenges. Among those considerations is the role of the intersection. Familiar and useful as an organizational tool, the intersection is also a source of great stress and frustration. Digital technology that wasn’t available even five years ago carries the promise of a more responsive intersection. Sensor arrays and computer vision can make detection of multiple street users readily achievable, potentially providing a more accurate count of all modes and informing decisions about traffic flow and priorities. Speakers from Savari, Crown Castle, Traffic Technology Services Inc., and public and private sector leaders from North Carolina, Nevada and Florida, will dive into the challenges and benefits of connected vehicles and the transportation revolution, and provide insights into some of the real-world tests and deployments they have been involved in at Connectivity Expo, May 21–24 in Charlotte, North Carolina. Learn more about Connect (X) and register at www.connectivityexpo.com.